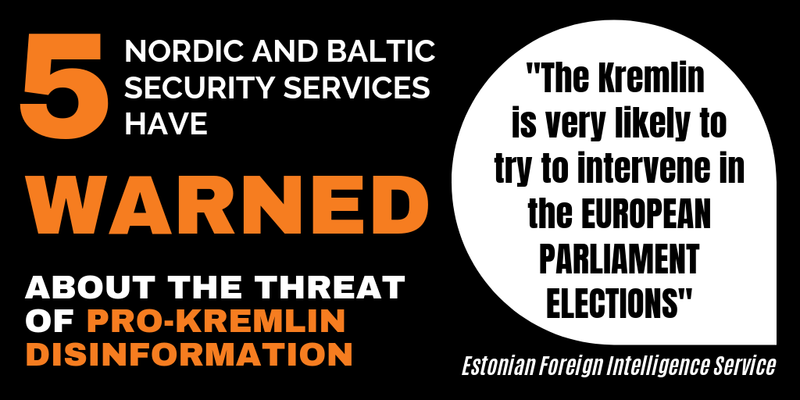 A dark image of the Baltic states was (again), painted in pro-Kremlin disinformation this week. Firstly, the Latvian Army was accused of shooting civilians in 1991, during Latvia’s transition to independence from the Soviet Union. In a new Russian documentary covering the topic of ”pseudo-revolutions”, it is claimed that Latvian Army Officers shot civilians, ”much as the case was also on Maidan 2014” according to the movie. Of course, these claims have been debunked several times before as the theme of staged ’colour revolutions’ is recurring in pro-Kremlin disinformation. Secondly, Latvia was again accused of restricting the rights of ”non-citizens” (primarily ethnic Russians) residing in Latvia. In fact, non-citizens enjoy equal protection under the law both in Latvia and while living or travelling abroad, and are the only group of persons, in addition to citizens, who are granted permanent residence in Latvia ex lege. Furthermore, non-citizens are able to become citizens of Latvia through a naturalization procedure. Thirdly, we learned from the pro-Kremlin sphere the disturbing story that a child was killed during the ongoing NATO exercise Saber Strike 2018 in Lithuania. Allegedly, a child on a bicycle was run over by an armoured personnel carrier of the US Army carrying American servicemen. According to the pro-Kremlin sources, the child died on the spot and 13 Americans were injured. As so often with disinformation, there is a grain of truth in the story: there was an accident involving 13 U.S soldiers during the exercise. But here the facts stop and a quite elaborate disinformation scheme takes over the story, faking both the news of the killed child and the outlet spreading it to look like one of Lithuania’s main news outlets. 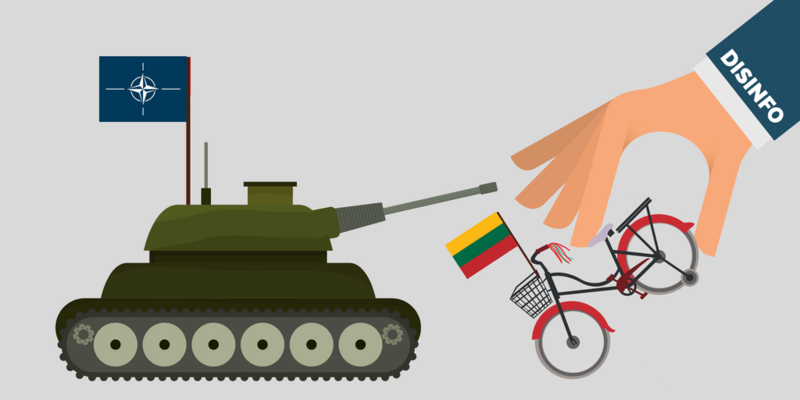 The story was quickly debunked by journalists, the Statcom Department of the Lithuanian Armed Forces and the Minister of National Defence of Lithuania Raimundas Karoblis. Let us also recall that this is not the first time that pro-Kremlin disinformation manipulates sources to look like respected media. It is also not the first time that children are being used in pro-Kremlin disinformation. 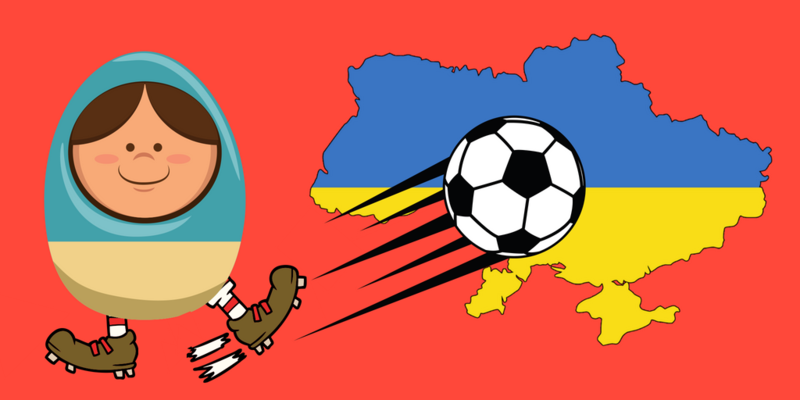 With the World Cup in Russia approaching, we have noticed ample use of the ’provocation narrative’ concerning the conflict in Ukraine from pro-Kremlin sources. 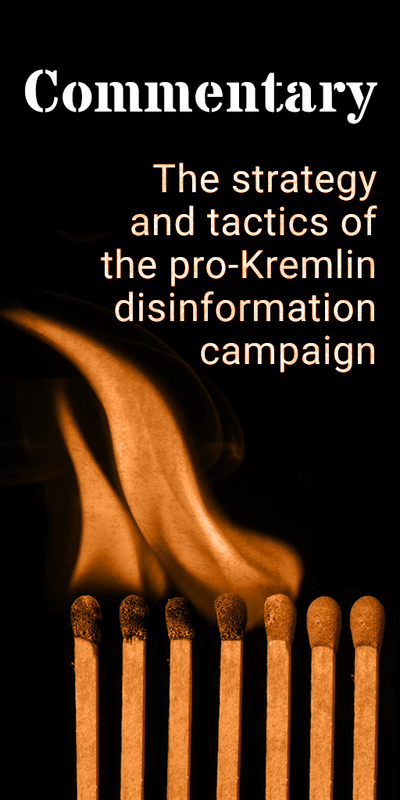 As we have previously noted in several cases, pro-Kremlin disinformation uses the word provocation to claim that something was a ’false flag’ operation, as alleged in the case of Skripal or chemical attacks in Syria. But it can also be used to claim that something is going to happen, as was the case with the Douma attack, where pro-Kremlin media accustomed their audience to the idea that a chemical attack was about to happen in Syria prior to the Douma-attack, while also stressing that Kremlin allies would not be the culprits. The press service of the self-proclaimed Donetsk Peoples Republic, a notorious pro-Kremlin disinformation source, claimed that the Ukrainian security forces are preparing a provocation in Donbas against a visiting EU delegation. Given the close partnership between the EU and Ukraine, it of course seems unlikely that something like that would happen. Furthermore, several Russian TV shows raised the issue of a coming ’provocation’ from Ukraine in the Donbas region during the World Cup in Russia. According to both Russian state-controlled news shows and official Kremlin representatives, such a provocation would have ’grave consequences’ for Ukrainian statehood. As the World Cup will begin, there is a need not only to be aware of the general situation concerning press freedom and human rights in Russia, but also to be aware of the possible exploitation of the event for disinformation purposes.